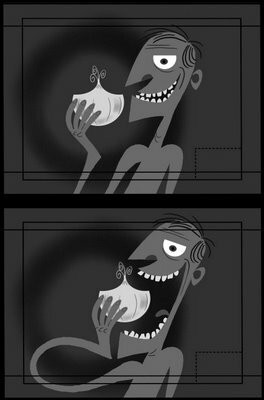 These are a couple story board images I drew for a short that we have in production at Cartoon Network. When I say "we" I am refering to my very talented friends Shannon Tindle and Andy Schuhler. Awwww-yah! It's on now! It's about to go off the heezie! Yer gonna drop this like it's hot! I'm gettin' ready to get slapped around with yer mad drawin' skilzzz. Word to yer mutha wink, wink! Dude, we have a short in production at Cartoon Network? Awesome stuff Shane, I remember looking at your amazing portfolio at cal-arts one year, Ben is right you have some mad drawin' skillz. yeah dude, me and sean drew by that town, stinks like hell! i meant, "drove" not drew. dork. i wanna animate it. the end. Super work on your Blog !! Excellent post, thanks a lot! woow i like this picture view. Free Mobdro app allow you free tv.